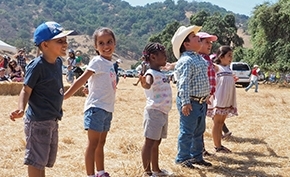 The Open Space Authority offers educational programming to help connect local students and children of all ages with nature. These programs include free public activities and field-trips for school and community groups. We also offer educational materials that teachers can use to help plan lessons on local history, wildlife, and ecology. 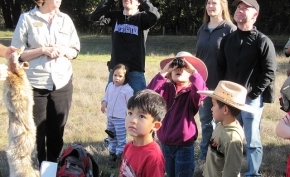 We provide a variety of free programs and events to help connect the residents of Santa Clara Valley to nature. We provide and support a diverse range of resource-based educational programs. Working with schools and youth organizations to develop and implement recreational and interpretive programs. Identifying opportunities for unique recreational amenities or experiences on Authority preserves. Developing educational materials to be available online and at preserve entrances. Providing training to volunteers and docents relevant to interpretive programs. For educators looking for ways to immerse students in nature, we offer several experiences that are perfect for school and community groups. Bring your class to any of the Authority’s publicly accessible preserves for free anytime during operating hours. To ensure the best possible experience, we recommend you call ahead to check that there are no other educational events or maintenance activities happening on the day of your visit. 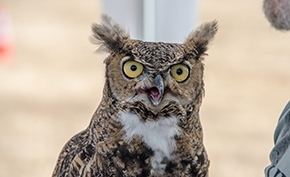 Bring your students to learn about local Birds of Prey with the educators from the Wildlife Education and Rehabilitation Center (WERC). Meet the birds then take a guided hike of Coyote Valley Open Space Preserve or Rancho Cañada del Oro to look for them in the wild. Bring your students to learn about watersheds and water conservation in the Coyote Valley Open Space Preserve. This program can be presented in partnership with staff educators from the Water District and Open Space Authority docents. 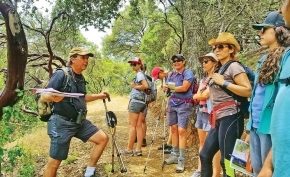 Feel more confident taking your class on a nature hike with the teacher training program offered by Bay Area Wilderness Training. Check out these additional organizations with whom we have partnered with for more information on various educational programs available for your class. Don't see the information or program you need? Contact Teri to learn about other programs you can request.